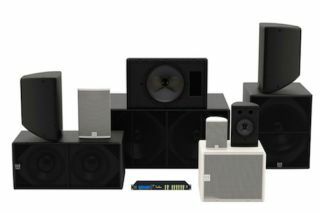 Developed to partner Martin Audio’s new CDD installation range, the company's new DX0.5 adds new loudspeaker system management to the existing range of DX loudspeaker controllers. The success of CDD has helped drive demand for the DX0.5, according to the company, making it the most popular controller this year for Martin Audio with just a few months of sales under its belt. Martin Audio's updated software for the DX0.5, version 1.0.3, adds the ability to create project files with a single file containing up to 24 presets. It can also be used to back up an entire unit, which is useful for keeping a record of default settings at a venue. The update package includes a new SW installer, updated user guide, and project files for CDD to reinstall the factory defaults, as well as support for its portable loudspeaker range, Blackline+.